It seems that nearly every brand of CBD oil boasts a new term. But, not all CBD oils are created the same, and these terms are more than just marketing jargon. It is important to understand the difference between full spectrum, broad spectrum, and CBD isolates so that you can make the right choice for you. Full-spectrum means that all of the cannabinoids and terpenes that can possibly be present, are present. While there are thousands of cannabinoids and terpenes present in each plant, and it is not possible to preserve every single one during the manufacturing process, full-spectrum means that none of the cannabinoids were purposefully removed. One of the reasons full spectrum is so important is because the cannabinoids and terpenes all work together to enhance each other. This effect (called the entourage effect) makes it possible for different cannabinoids to interact to achieve maximum effects. When shopping for CBD products, full spectrum is preferable to broad spectrum or isolates. The full spectrum CBD oil will be more effective than the broad spectrum or isolate. What does broad spectrum mean? Is that the same as full spectrum? On the flip-side of the spectrum coin, there is broad spectrum. Broad-spectrum means that the CBD or cannabinoid profile was specifically extracted from the plant. Broad spectrum may not contain all of the terpenes and cannabinoids in the plant. This can negate the entourage effect. You might see broad spectrum more with CBD from marijuana plants with higher than .3 percent THC, rather than CBD from hemp oil. Full spectrum and broad spectrum are different because full spectrum means that all cannabinoids that can be present are, whereas broad spectrum means that a specifically selected group of cannabinoids were extracted. While they both may contain several of the same cannabinoids, full spectrum will also contain necessary terpenes. Like broad spectrum, a CBD isolate means that a specific profile was extracted from the plant. However, it means that only CBD was extracted. Isolates do not offer the full benefits that full spectrum oils offer because they do not have the entourage effect. 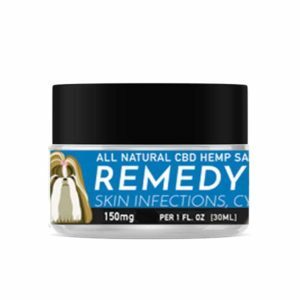 Most CBD isolates are human products made from the marijuana plant and can be helpful for people trying to avoid any trace amounts of THC. However, for animals, full spectrum is still preferable to an isolate. 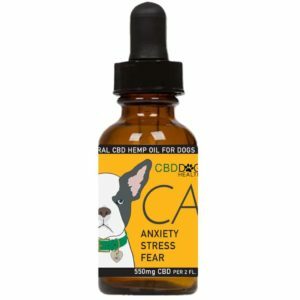 To learn more about CBD terms and common questions, visit www.cbddoghealth.com.